Featuring an exclusive model, the LEGO DC Comics Super Heroes Build Your Own Adventure Book inspires kids to build, play, and learn all about the awesome world of LEGO DC Comics Super Heroes. 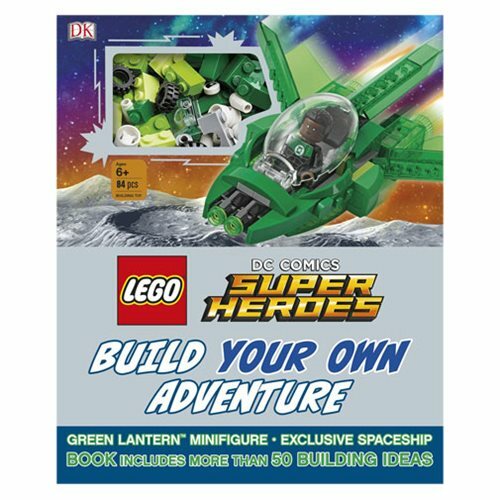 The LEGO DC Comics Super Heroes Build Your Own Adventure Book combines more than 50 ideas for building with enthralling story starters from the world of LEGO DC Comics world. Get inspired to build, then play out Super Heroes adventures of your own using your LEGO collection. Organized into five locational chapters from Central City to Lex Luthor's Base, each section features an opener that brings the models together in imaginative scenes and contains a selection of inspirational model ideas. The 80 page book measures about 10 1/10-inches tall x 8 2/5-inches wide.